Storey Publishing, LLC, 9781580172189, 32pp. 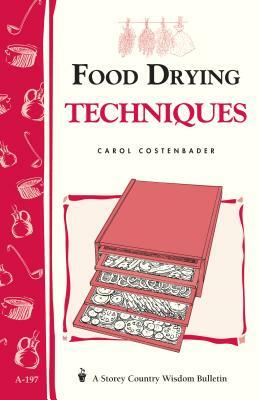 Food writer Carol Costenbader has cooked and preserved homegrown fruits, herbs, and vegetables for more than 35 years. Besides The Big Book of Preserving the Harvest, her books include Storey's Well-Stocked Pantry Series: Mustards, Ketchups & Vinegars and Preserving Fruits & Vegetables. Second in command of the family vegetable garden and a volunteer cook at Christian Ministries Homeless Shelter, Carol is founder of The Health Adventure and Friends of the Health Adventure, a good health teaching facility. Carol and her family divide their time between central Florida and the mountains of North Carolina.